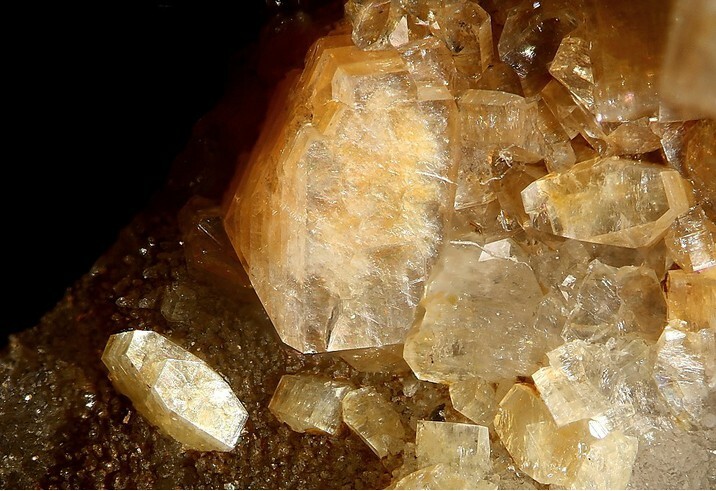 Heulandite-Ba: Mineral information, data and localities. 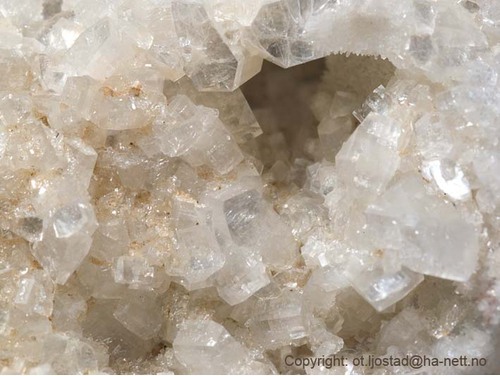 Named in 1822 by Henry James Brooke in honor of Johann Heinrich "John Henry" Heuland [March 21, 1778, Beyreuth, Germany - November 16, 1856, Hastings, Sussex, England, UK], a mineral collector and mineral dealer living in England and for the suffix indicating dominant Ba. Despite having an international reputation, there are no known images of Henry Heuland. The barium analogue of Heulandite-Ca, Heulandite-K, Heulandite-Na, and Heulandite-Sr.
Calcite 1 photo of Heulandite-Ba associated with Calcite on mindat.org. Merkle, A.B., Slaughter, M. (1968) Determination and refinement of the structure of heulandite. American Mineralogist: 53: 1120-1138. Alberti, A. (1972) On the crystal structure of the zeolite heulandite. Tschermaks Mineralogische und Petrographische Mitteilungen: 18: 129-146. Comodi, P., Gatta, G.D., Zanazzi, P.F. (2001) High-pressure structural behavior of heulandite. European Journal of Mineralogy: 15: 247-255. 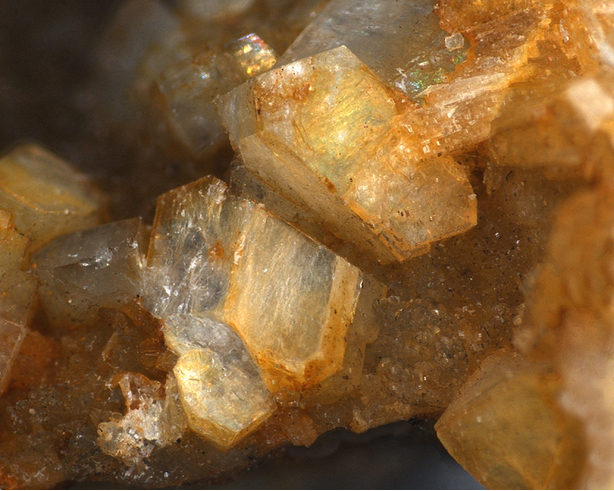 Larsen, A.O, Nordrum, F.S., Döbelin, N., Armbruster, T., Petersen, O.V., Erambert, M. (2005) Heulandite-Ba, a new zeolite species from Norway. European Journal of Mineralogy: 17: 143-154. Green, D.I., Tindle, A.G., Hubbard, N., McCallum, D., Jackson, B. (2008) Heulandite-Sr and heulandite-Ba, two zeolite group minerals new to Britain from Whitesmith Mine, Strontian, Highland Region, Scotland. Journal of the Russell Society: 11: 80-86.